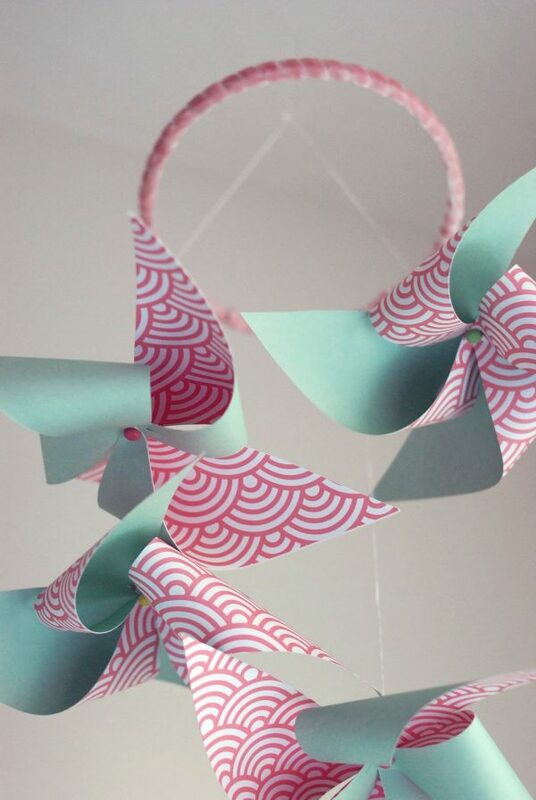 The incredibly sweet Jessica of In the Hushed Hours was kind enough to share this tutorial for DIY paper pinwheels. I love pinwheels. Pinwheels strung on a mobile? I might love those even more. Thanks for sharing, Jessica! String your paper pinwheels from an embroidery hoop to make your own mobile perfect for a bedroom or for a party. Love!